Who’s gone: F Keita Bates-Diop, F Jae’Sean Tate, G Kam Williams, G Andrew Dakich. Who’s back: F Kaleb Wesson. The 6-foot-9, 270-pound sophomore averaged 10.2 points and will be counted on to do more this season. … F Andre Wesson. Kaleb’s older brother is a small forward who will have to provide some leadership to the young team. … C Micah Potter. Hampered by injuries, the huge junior hasn’t been able to realize his potential. … G C.J. Jackson. Senior will be counted on as one of the primary ball-handlers. … G Musa Jallow and F Kyle Young. Expected to play bigger roles after seeing limited playing time as freshmen last year. G Luther Muhammad. Highly touted freshman shooting guard could work his way into a starting role. … G Duane Washington Jr. Elite shooter from California is expected to find a role as a freshman. … F Justin Ahrens. Well-rounded freshman de-committed after former coach Thad Matta was fired, but Holtmann got him back on board. … F Jaedon LeDee. The 6-foot-9 freshman has the size and versatility to play at any of the frontcourt spots. … G Keyshawn Woods. Graduate transfer from Wake Forest adds depth. 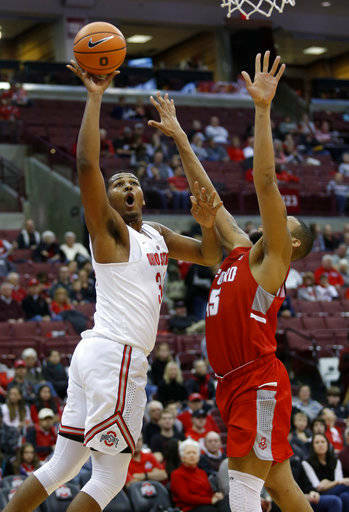 COLUMBUS (AP) — New Ohio State coach Chris Holtmann did his best to keep expectations in check during the preseason last year. 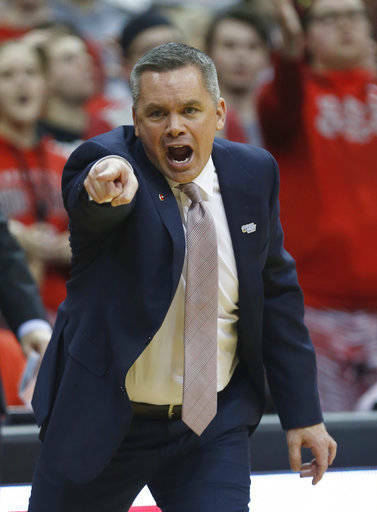 The first-year coach — and most everyone else — expected it would be a rebuilding year for the Buckeyes after a rash of transfers.